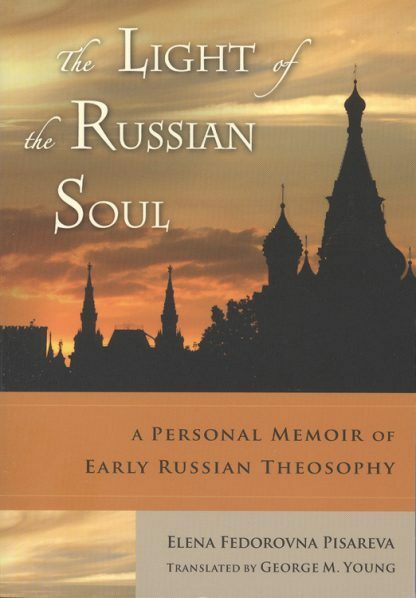 In this fascinating memoir, Elena Pisareva provides perhaps the only personal account of the Russian Theosophical Society from its beginning in the late 1800s to its dissolution in the mid-20th century. She vividly portrays Anna Kamensky�s struggle to establish and maintain the group amidst internal pressures and a hostile prerevolutionary government. Harrowing stories depict the members' persecution and their flight from the Red Army. Pisareva�s invaluable perspective, faithful reporting, and flair for detail make this a must-read for Russian history buffs. Elena Pisareva (1855-1944) was a principal contributor to the Theosophical movement in Russia from the 1880s through the 1920s. A talented writer and prolific translator, Pisareva details how Theosophy came to Russia and developed there until the Bolshevik Revolution in 1917, after which many of the leading figures in Russian Theosophy went into exile George M. Young,, Ph.D., translator of this title, earned his Ph.D. in Slavic languages and literatures at Yale, has taught at Grinnell, Dartmouth, and the University of New England, and is the author of a book and many academic articles on the eccentric Russian religious thinker Nikolai Fedorov. A member of the Theosophical Society, Young and his wife reside in rural Maine.